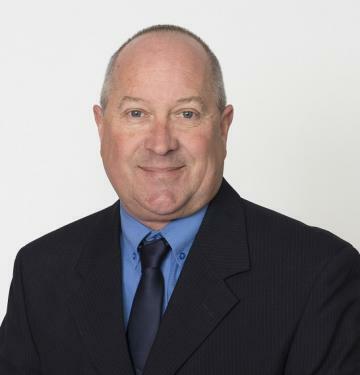 Martin started with the company in 1994 completing his Diploma in Real estate Sales and Accounting. Martin has been the Manager of the Real Estate business since this time as well as over seeing the accounting and reporting of financials to the Director Tom Wardle. On the restructure of the Business in early 2010 Martin was appointed General Manager. Martin has been the most successful sales consultant for Wardle Co over the years and continues to impress. Having respect between both Management, Employees and all of our Clients makes a strong, successful Business. Located on the corner of Garden and Reservoir Road at Baroota is this flat to undulating parcel of land which rarely comes available. The total area is 57 acres with native bush and a shallow creek along with excellent views of the Flinders Ranges and the Baroota Creek. The property does need fencing on all boundaries, water and power runs past the property. Ideal 1st home or investment! This neat timber frame home has 3 good sized bedrooms with an open kitchen/meals adjoining the large lounge room. The kitchen features a freestanding elec oven and ample bench space. The bathroom includes a shower, bath and vanity with separate toilet. Other features of the home include ducted evap a/c and wall a/c to living area. Outside is a double garage with conc floor + power, garden shed, rear verandah and separate fenced yard for the dogs or chooks filled with fruit trees. This large parcel of Residential land is located on the Western side of Crystal Brook with most services available. Subdivision potential. Ideal weekender on this 7.25 acres of land. Easy access having some pine tree cover and balance open for ideal grazing. Raised barn with lean-too . Also on the property is an under ground concrete tank original going to be used for fuel storage but never eventuated.Connected to mains water and with power going past. Other tanks in the area are being used as storage or camping in being cool during the summer and warm during winter, just need to open it up. Hay currently being stored. Vacant parcel of land located close to the main street of Crystal Brook. 1172 square meters, fenced on three sides, mains water, power and common effluent available. Ideal location to built with very few allotments available in this area. This property is located on the southern side of Crystal Brook within a Rural Living area along The Cattle Track. Two entrances to this 6 acre parcel of land having bituman frontage, school bus pick up and rubish collection. The home has three bedrooms, open living area to the kitchen/dine/lounge with reverse cycle split system air conditioning. Plenty of shedding on this one along with horse stables. Settlers Cottage located on a corner allotment allowing good access all round. The character home has two generous size bedrooms, lounge room and kitchen with gas stove. The back entrance hall leads to the bathroom with the bath being separate to the shower, laundry and toilet. Outside storage room, garage and carport. Mains and rain. Ready to move in and enjoy. YOU WILL NOT GET A CHEAPER BLOCK OF LAND WITH IN THE AREA. BITUMAN FRONTAGE, POWER AND WATER AVAILABLE. GUARANTEED NOT TO LAST LONG. It is with great pleasure that Wardle Co have been favored as the sole agents to offer this farming property to the market place. Located approximately 10 kilometres West of Redhill and 3km North East of Mundoora. A total of 600 acres / 243 Ha. An excellent farming opportunity with a total of approximately 575 acres arable. Reliable average rainfall of approximately 350mm. Both allotments watered by mains. We strongly recommend this rural property to any potential purchasers. An excellent oportunity exists to purchase one of Pirie's most well respected long running businesses. Pirie Embroidery has been servicing Port Pirie and surrounding areas for over 30 years providing embroidery, garment alterations, haberdashery, workwear, sportswear, sewing machine sales just to name a few. There are 2 options for buying: 1) Walk-in walk-out including the building, stock, plant and equipment. 2) Stock, plant and equipment, leasing the building. Martin provided regular updates on the status of play. Worked for me. Appreciated his help in this sale. I had visions of property being on market for years, Martin managed to sell it, a little to my surprise. We sold the property prior to Christmas which was a reasonable time frame. I think it was a reasonably fair price as the property requires a considerable amount of work. All in all I am happy. You can only work with what you have. I obtained a reaslistic price within an appropriate timeframe. The cottage is not what you would class as 'prime real estate'. Thanks Martin. Very easy & problem free to deal with. We were extremely pleased with the process of our house sale, especially the way Martin did more than expected to help us. Thank You. Everything went well and was all good. Martin was very patient through the process.